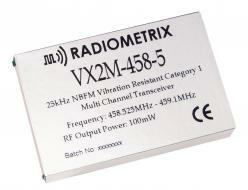 VX2M is a 400MHz band transceiver conforming to the Radiometrix TR2M pinout. It uses a sophisticated combination of techniques to produce a very robust device with excellent resistance to vibration. It meets the ETSI Category 1 high performance receiver specification to be used where the operation of a SRD may have inherent safety of human life implications. It retains all the pin-functions of the parent TR2M (including noise operated squelch/carrier detect and separate digital/analogue inputs and outputs). It also supports the same internal i1200 modem as the TR2M. 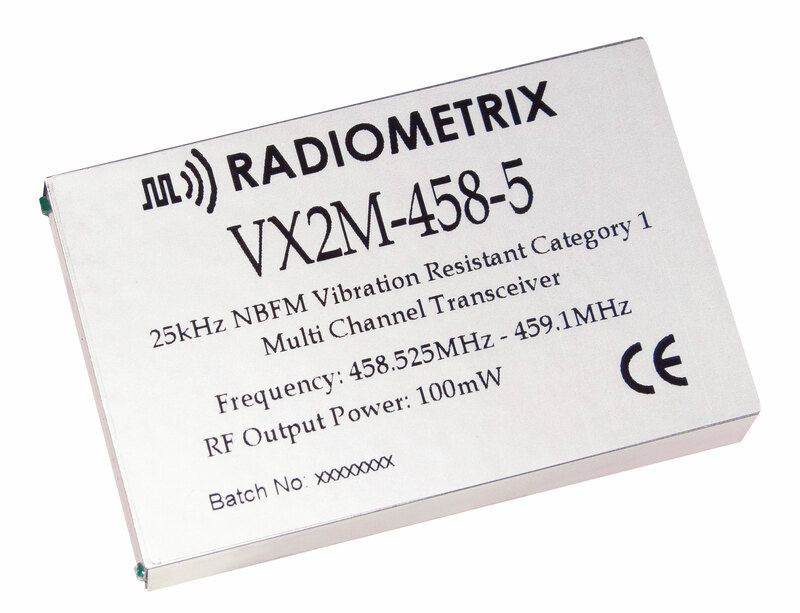 The TR2M transceiver module offers a low power, reliable data link in an industry-standard pin out and footprint. Two versions are available, covering the 458.5-459.1MHz UK band (at 100mW) and the European 433.05-434.79MHz band (at 10mW).